In a barbaric act, a bus carrying Amarnath yatris was attacked by terrorists killing 7 pilgrims and injuring 19. The bus was travelling from Baltal to Jammu and when it reaches near Khanabal Anantnag district, terrorists brutally opened fire at it. The attack took place at around 8:20 pm. All the pilgrims hailed from Gujarat. The Jammu Chamber of Commerce and Industries announced a shutdown in Jammu Today. It is supported by both ruling and opposition parties. Jammu and Kashmir Deputy Chief Minister Nirmal Singh said that in a special BSF aircraft, the victims will be airlifted to New Delhi from Srinagar where they will be shifted tonight. 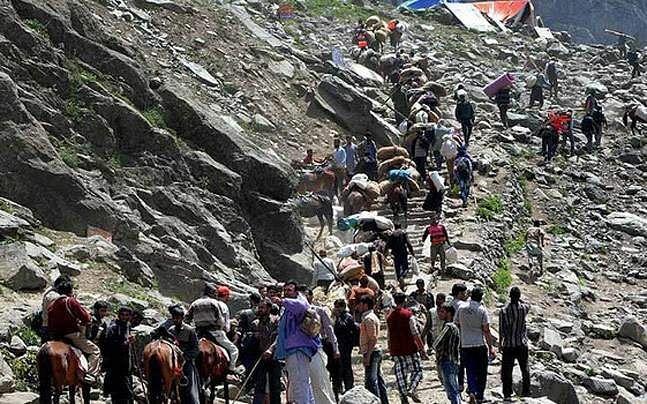 Zulfiqar Hasan, IG (Operations) for the Central Reserve Police Force has confirmed that the Amarnath Yatra will continue from Jammu tomorrow.